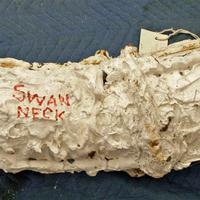 Neck mold from Indian and Wild Swan. The two mold halves are bound with wire. "Swan Neck" is written on the mold in red.